A question I asked at summer camp, and Ringu Tulku’s response. “Rinpoche, it’s about the word empathy, I don’t think the word empathy has come up, but I would be quite interested in your take on the difference between empathy and compassion. A while ago, I was listening to Mathieu Ricard and the scientists were testing his brain for meditating on empathy. So they wired his brain for meditating on empathy and they didn’t get the result they wanted. They said, “what did you do?” Mathieu said, “I meditated on compassion, wishing everyone well.” The scientists said, no it’s not that, empathy is when you feel for other people ( their distress etc). So Mathieu meditated on empathy and he said it was awful and he would soon have had burn out doing that. This took me back to my younger days, when I didn’t know the word empathy or compassion but I was nursing in the 1950s, which was quite a devotional work and vocation then. I realised that if that’s the difference to have empathy, I would have had burnout, but to have compassion and wishing well was the difference. 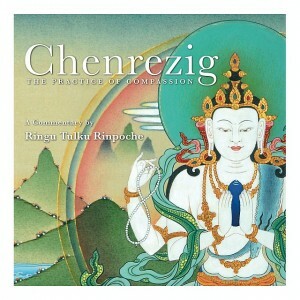 Ringu Tulku responds on this video.